By the early 1800s, Euclid’s Elements – 13 books of geometry – had dominated mathematics for over 2,000 years. In fact, people did not speak of Euclidean geometry – it was a given that there was only one type of geometry and it was Euclidean. The Elements had been built on five postulates – in other words five things that were assumed to be true about geometry: for example, all right angles are equal to one another. The fifth of Euclid’s five postulates was the parallel postulate. Euclid considered a straight line crossing two other straight lines. He looked at the situation when the interior angles (shown in the image below) add to less than 180 degrees. In these circumstances, he said that the two straight lines will eventually meet on the side of the two angles that add to less than 180 degrees. a. When each angle is 90 degrees, the lines are parallel. b. If one or both of the angles is less than 90 degrees, the lines will meet. Most but not all of Euclid’s geometry could be built without the parallel postulate. Mathematicians, feeling there was something disconcerting about this postulate, had long hoped to prove it using Euclid’s other postulates as a starting point, but had failed. Carl Friedrich Gauss, probably the greatest mathematician in history, realized that alternative two-dimensional geometries are possible that do NOT satisfy Euclid’s parallel postulate – he described them as non-Euclidean. Gauss thought about a curved two-dimensional surface, like the surface of a globe mapping our planet’s oceans and continents. The vertical lines of longitude all make angles of 90 degrees with the equator on the globe’s surface, yet by the time they reach the poles they have met. So the parallel postulate is incorrect on curved surfaces. Gauss realized that self-consistent non-Euclidean geometries could be constructed. He saw that the parallel postulate can never be proven, because the existence of non-Euclidean geometry shows this postulate is independent of Euclid’s other four postulates. Gauss decided not to publish any non-Euclidean geometry. Later this led to problems with his best friend. Farkas Bolyai was a mathematician. He had been Gauss’s best friend when they were students at the University of Göttingen in Germany. Afterwards they had stayed in touch, regularly exchanging letters. Bolyai’s son János was also a mathematician. In 1832, János published his brilliant discovery of non-Euclidean geometry. His father, overjoyed that his son might have achieved something worthy of praise from Gauss, the man he admired more than any other, asked Gauss for his view of the work. Gauss replied that he couldn’t praise the work, because in doing so it he would be praising himself: János had merely published work that Gauss had done privately long ago. Needless to say, Gauss’s reply to Bolyai went down like a lead balloon. 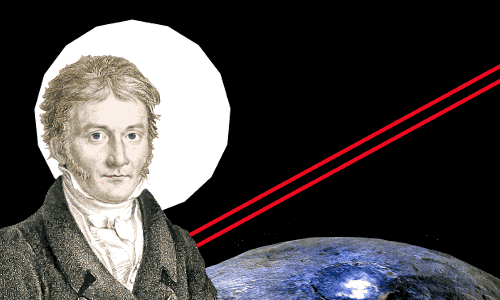 The Bolyais believed Gauss was trying to steal the discovery, which he wasn’t; he had no intention of publishing. János Bolyai received full credit for his discovery as did Nikolai Lobachevsky who discovered it independently. Whether Gauss actually fleshed-out non-Euclidean geometry as comprehensively as Bolyai and Lobachevsky is uncertain. Why Did Gauss Not Publish? Gauss made many more discoveries than he published. He liked to release his discoveries to the world as perfect mathematical jewels, with all signs of mining, rough working and polishing removed. His ideas and insights were so abundant that he did not have time to polish them all for publication. Also, if he felt his work was too far ahead of its time and would provoke controversy – such as his non-Euclidean geometry work – he would not publish it. His attitude was that he did not wish to waste his precious time engaging in pointless arguments with people who were incapable of ever fully understanding his work.